The E-Learning Phenomenon: A New University Paradigm? 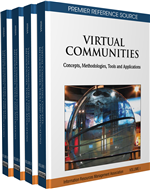 This chapter contributes to the ongoing discussion on current best practice and trends in e-learning and virtual classes in higher education. With the increasing importance of knowledge as competitive advantage and engine of economic growth in an increasingly interconnected, multicultural and multilingual world, modern universities based on building and transport technologies are assuming virtual dimensions to address the pressures of rising enrolments, increasing fiscal constraints and rapid technological advancements. The Internet and globalisation are changing how we bank, shop, play, and learn. Can universities adapt, or is e-learning going to be an educational fad like educational television of the 1970s? Based on international research, this chapter examines some signposts using pilot projects as a key pedagogical method in the journey from idea to execution and the factors leading to success or failure of e-learning initiatives. Will the e-learning phenomenon represent a new and sustainable university paradigm for the emerging knowledge society?